Picture by Nigel Harris, many thanks . 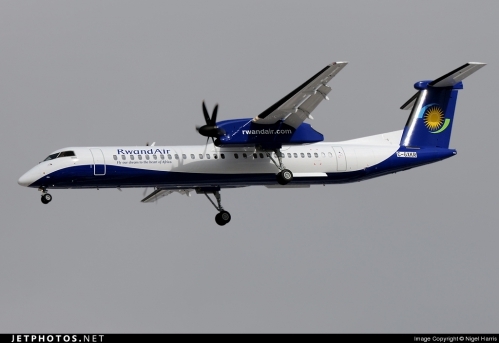 The second RwandAir Q400NG, made its roll out, on 3 June 2015. 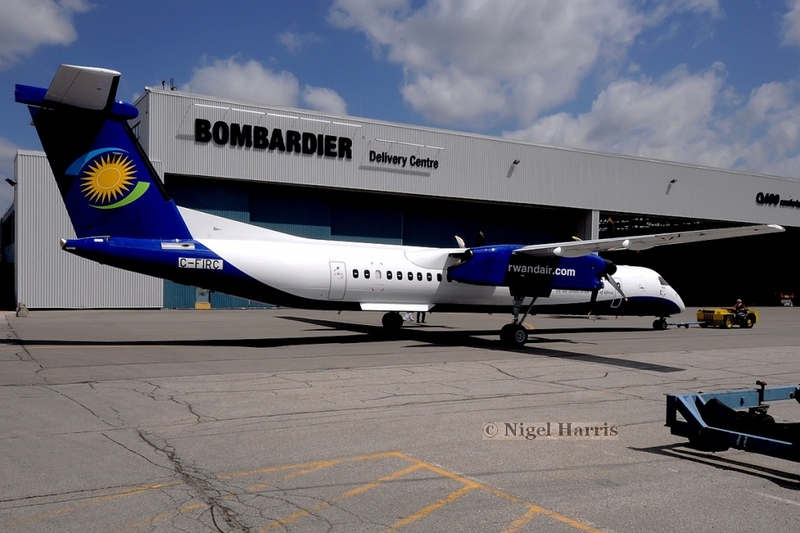 The aircraft is registered in Canada (C-FIRC), until its delivery. According to Transports Canada, the MSN (Manufacturer's Serial Number) is 4498. According to some sources, the aircraft will arrive at Kigali, on 20th June 2015. It will then deployed to Kamembe (Rwanda), Bujumbura (Burundi), Juba (South Sudan), Nairobi (Kenya) and Entebbe (Uganda). It can be sometimes deployed to Kilimanjaro and Dar Es Salaam (Tanzania). 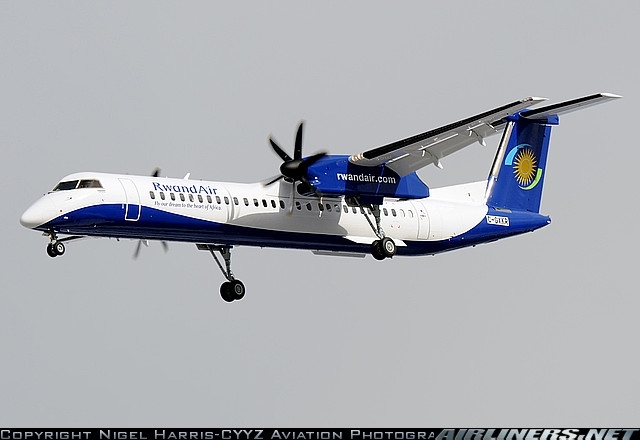 Mwanza (Tanzania) was served 3 times a week, with Q400NG, but the route was dropped, last month. The RwandAir Q400NG made its first flight yesterday. The configuration is : 60 seats in Economy and 7 seats in Business class. It will be fly to Central and East African Network. It will arrive in Rwanda on 3 March 2014.